I’m new to the biohacking comunity and have been researching throughout the past few days, however I am still unclear on a few things. As far as I’ve found the two most versatile implants for beginners are the xEM and the xNT, what exactly are the differences between the two and generally what are their uses? Yes I’ve read the thread in which discusses this however I’m not quite sure on how to interpret it. Also regarding xEM, I understand that the cloner has been removed from the store due to the issues in which it has encountered, however if I were to purchase it from another site (https://chipmylife.io/collections/cloner/products/portable-handheld-125khz-rfid-hid-id-card-writer-copier-duplicator) would it be worth the risk? In other words how often did people encounter issues, and are most people successful when cloning or is damage usually caused? Are there anyways to fix a bricked implant other than just replacing it? Additionally, are there other equally simple alternatives? Thirdly, I’ve read that upon using a cloner, it is possible that the implant may become passcode locked, what does this mean and can it be avoided? Lastly I’d like to incorporate a transit pass (TTC Presto card) into my implant, which chip is needed to achieve this, and how would I go about setting this up, including adding funds to it? Thank you to all who contribute, and I apologize for any questions that may seem uneducated. In simple terms, the xEM is a T5577 chip that can emulate various other common 125khz chips like EM41xx, HID ProxCard II, and Indala… maybe others. It’s a very versatile chip. Chips in the 125khz frequency typically only have an ID number and no further application data or storage… the applications are simple and typically not secured either. Yes many cloners set a passcode. We posted our cloners passcode on the product page. No idea… I have no data on the TCC Presto Card, and if they are anything like most other transit cards, it’s probably not possible to clone it. Some transit systems still use insecure chips, but most have moved to secure chips because, well, we’re talking about money and if there is a security flaw in the money card people are using, people will steal rides guaranteed… so again, most transit companies have moved to secure chips like the DESFire EV1. Thanks so much Amal for the detailed answers, since the cloner itself wasn’t the issue is it worth taking the risk using it? How common were the issues in which people have reported? And are there other alternatives that are just as simple? Other than replacing it, are there ways in which a bricked chip can be fixed? What happens when a cloner sets a passcode lock, and how do you enter the code to have it unlocked? Is the cloner refrenced in the link above the same model that was sold by you? Also, as far as I could tell the xEM chips primary use is access cards and similar authentication correct? Once again thanks so much, you’re help is greatly appreciated, and I apologize for the amount of questions that I have asked. How common were the issues in which people have reported? I’m not exactly sure, but people who are constantly cloning data to their xEM without realizing the potential danger typically run into problems eventually. Mostly because they are not careful about antenna placement and tend to move the antenna around rapidly in at attempt to conduct a successful write operation. And are there other alternatives that are just as simple? Not really… the cloner is designed to be two buttons… the only other solution I can think of worth bothering with is the proxmark3. Other than replacing it, are there ways in which a bricked chip can be fixed? Some have found success using the proxmark3 to recover their “bricked” T5577 chips… both xEMs and cards that use the T5577 chip. As yet there is no step by step procedure defined for this though. Yep, it just has an ID, so you can do whatever you want with that… most of the time the application is access control of some kind. In a human context, identity typically relates directly to some kind of access control application. 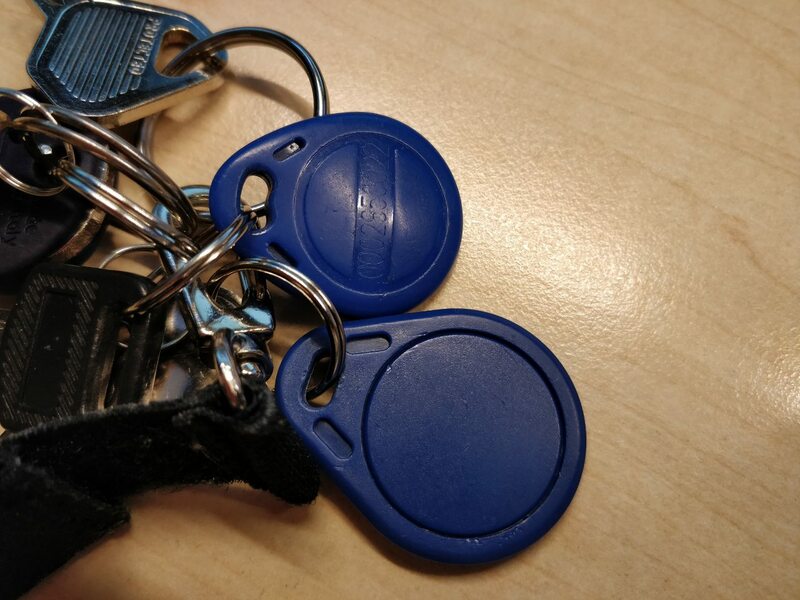 Hello, is there a possibility to clone these two blue RFID’s from different doors to one implant? Short answer is no. There are not single implants that you can clone two different tags to. Are they the same RFID type? If they are the same type, your only option is enroll one of them in the other’s system. Then both systems would use the same key and you could use a single implant.